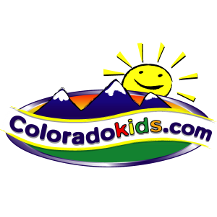 Mad Science of Colorado Review | Power4Girls Sports + Science Day Off School Event! Power4Girls Sports + Science Day Off School Event! Game On! Sports 4 Girls and Mad Science of Colorado are proud to present our Power4Girls Sports + Science Day Off School Event! This unique day off school event will include active sports and fitness morning rotations with Game On! Sports 4 Girls and an afternoon with Mad Science of Colorado's Science Sampler Camp. Spend the day using your whole brain and moving your body! Science Sampler Camp - Explore three branches of science in this exciting camp! Learn about molecular madness, crazy chemistry and all kinds of radical reactions as we whip up potions and find out what happens when two chemicals are mixed together. Find out "whodunnit" as we delve into forensic science and learn about the different scientific techniques that investigators use to solve crime. Enjoy a "hair-raising" experience as we explore the ins and outs of electricity and experiment with a real Van de Graaf generator!